Marina One is a high-density, mixed-use building complex in the heart of Singapore’s new Marina Bay financial district which supports Singapore’s ambition to become a “City in a Garden”. 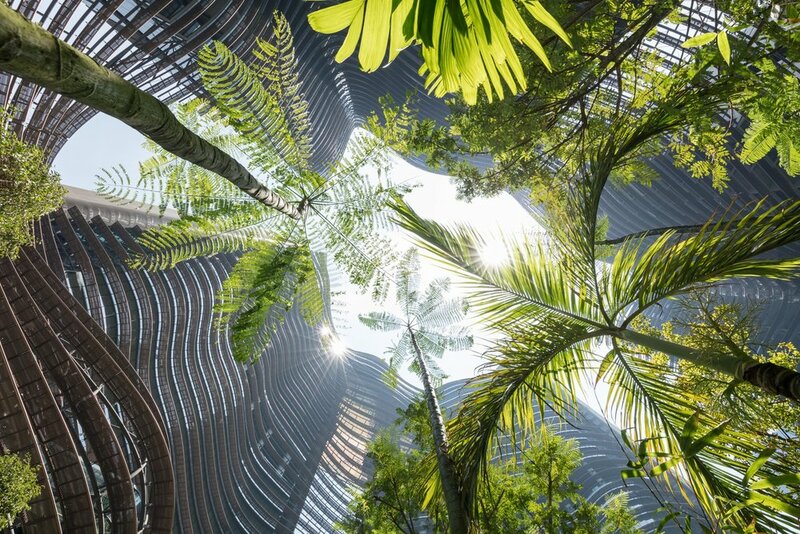 Designed by Ingenhoven architects to appear as a plant-covered mountain rising into the Singapore skyline, the four-tower scheme includes lush planting, green sky terraces and tree-covered public spaces on the rooftops to integrate soft landscape into the fabric of the building. Gustafson Porter + Bowman’s design for the central ‘Green Heart’ unifies the sculptural and planted elements of the building’s architecture. While the outer face of the four towers strictly follows the city grid, the maximised inner space is a free-formed three-dimensional garden. A winding ramp creates both a visual and physical connection between the most important levels of retail, allowing visitors and residents to ascend from ground level. This creates a rich, engaging experience which takes one through the abundant vegetation, where water descends from above in vertical strands of water and light that falls into a large reflecting pool. Our work was undertaken in collaboration with ICN Design International. 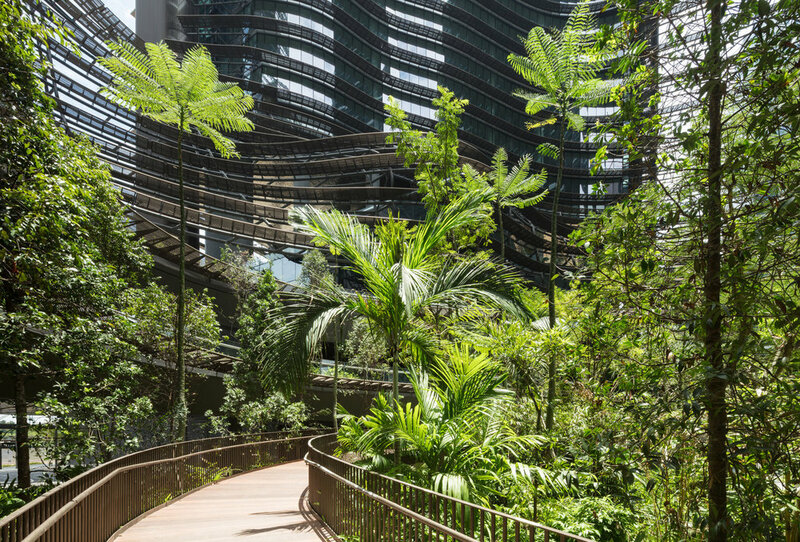 Openings between the high-rises, sky gardens, and the elevated towers, as well as the shape itself, improve the airflow and create a comfortable microclimate within the multiple levels of the central garden. See inside one of Singapore's cutting-edge urban developments from CNBC.